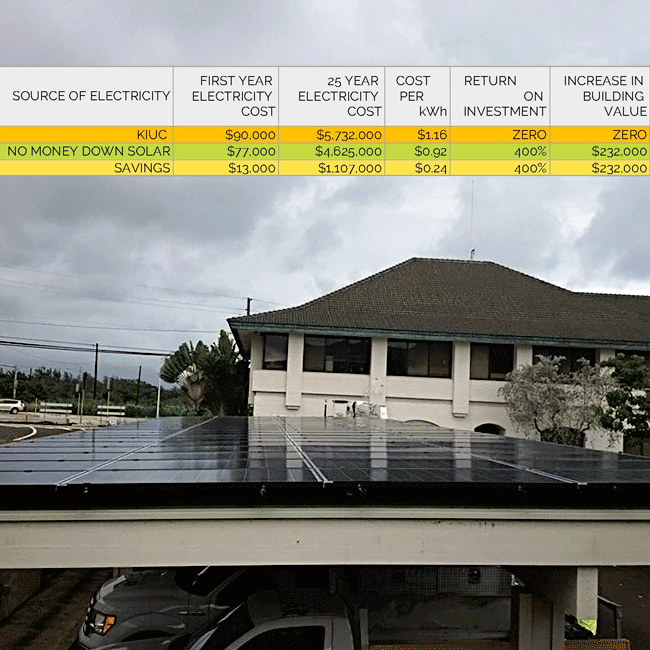 With solar, landlords have the opportunity to increase the income from their property without increasing rents or adding square footage. 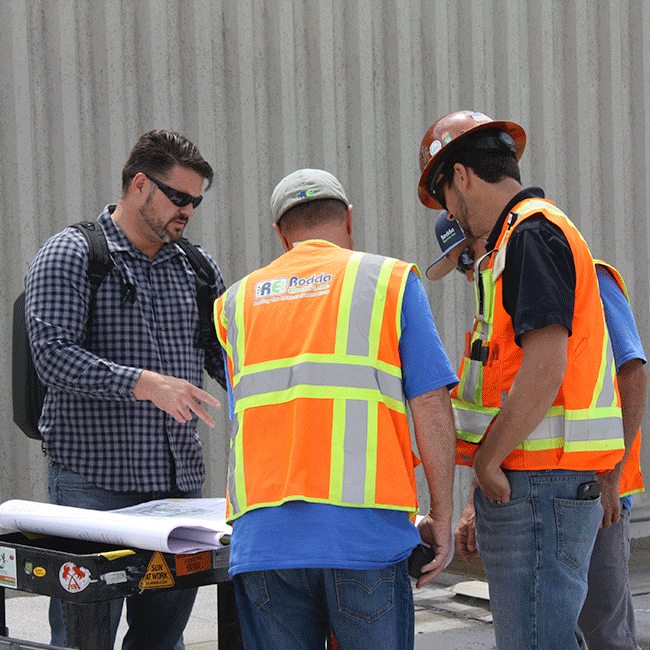 CitiGreen has all the documents to make these transitions seamless. 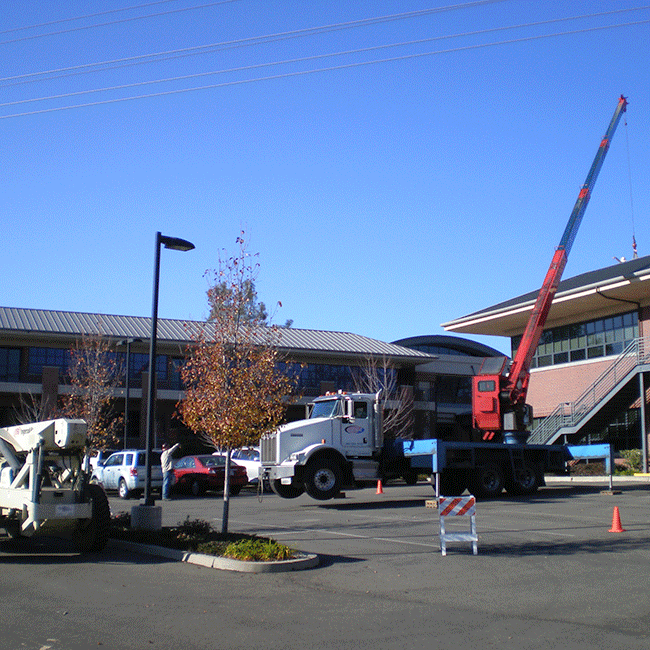 Here are a few examples of jobs we have completed for landlord clients. 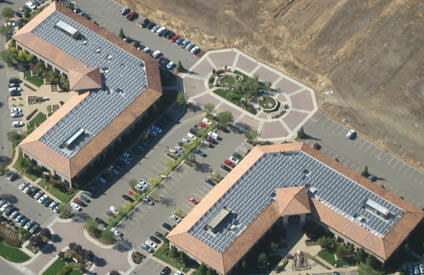 Government agencies give a preference to solar powered buidings. 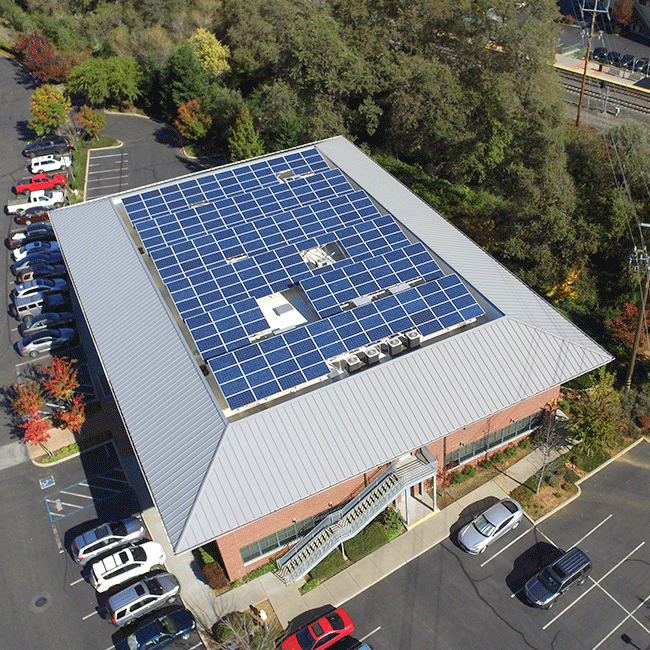 By installing a solar system, the owners were able to sign leases with both a federal and state agency and essentially fill their building. 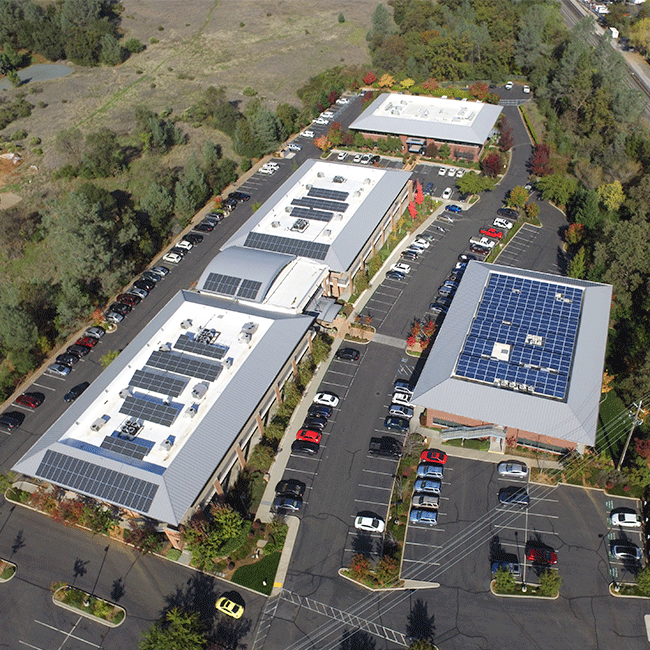 This was our second in that office park. 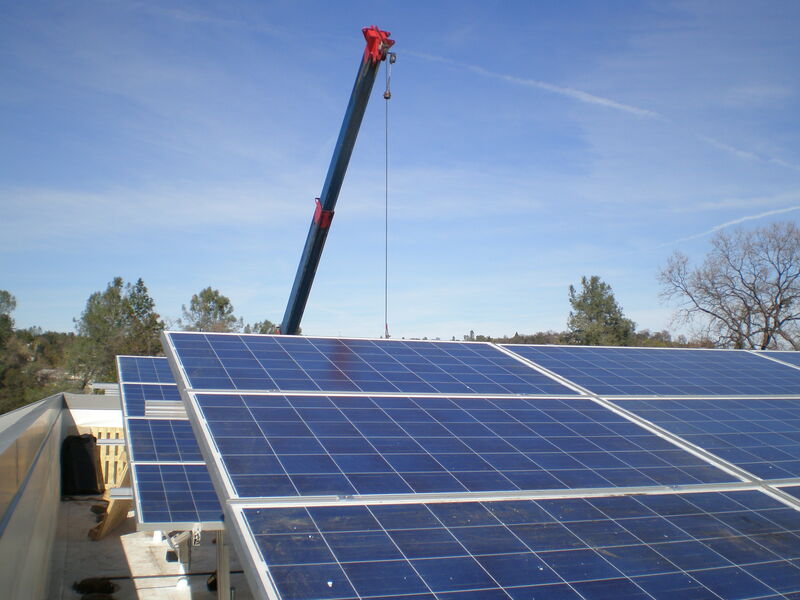 We are going back to install more solar on another building. 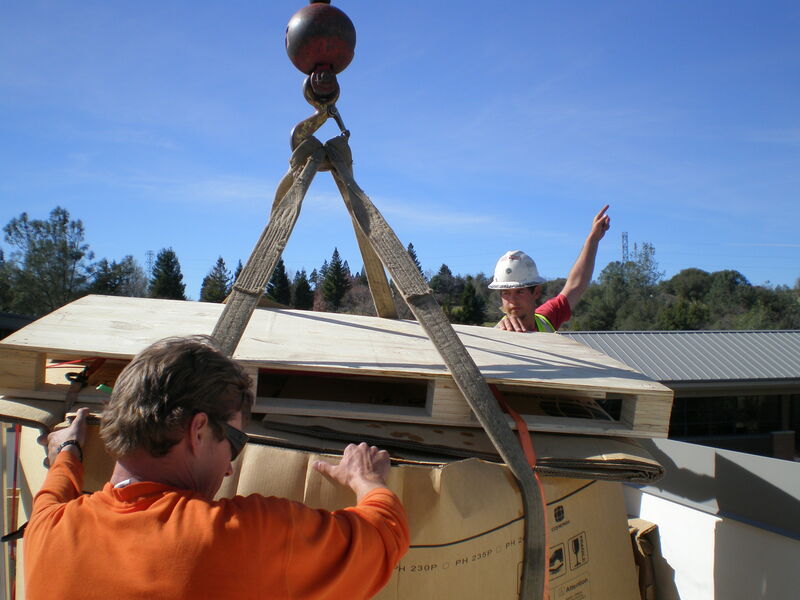 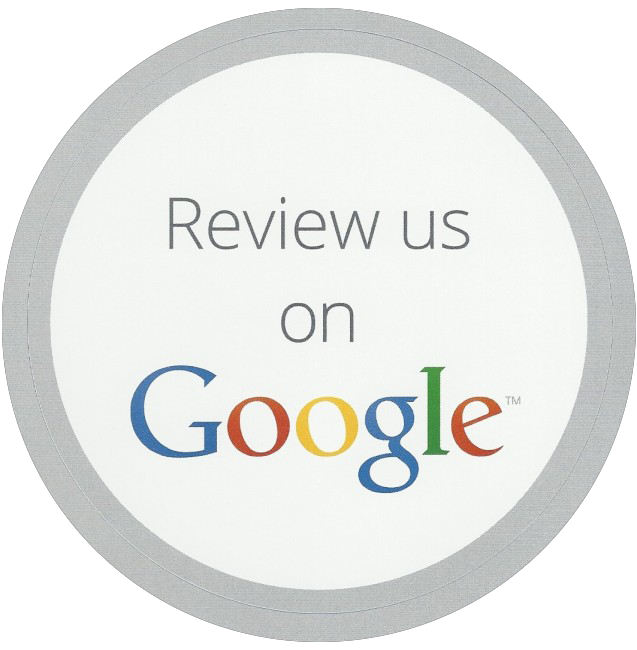 The owners are seeing the benefits and quick paybacks and want more. 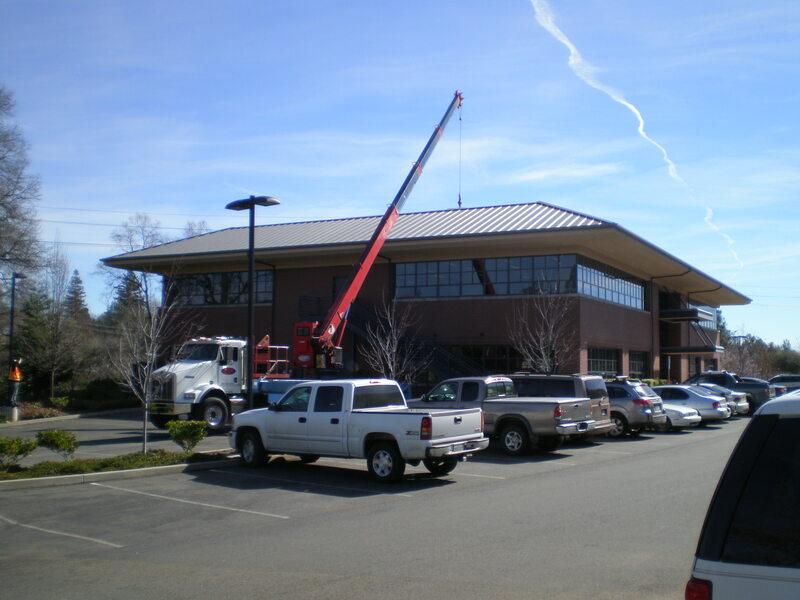 As with many business owners, the owners took title to their building in a separate LLC. 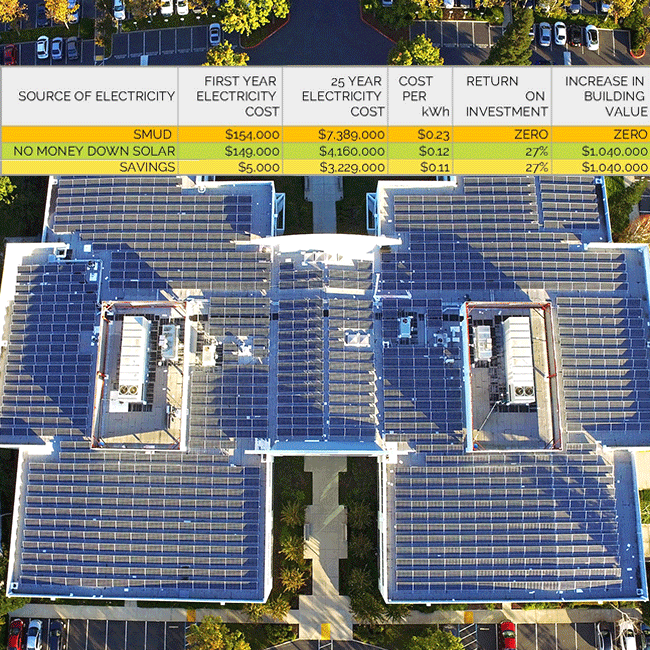 They also rent out the entire 2nd floor to a government tenant. 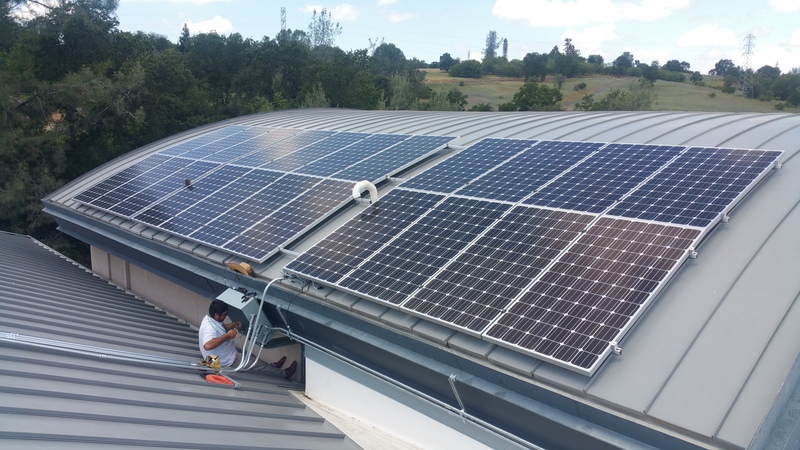 By installing a solar system, they can sell power to both entities, increasing their income from their building. 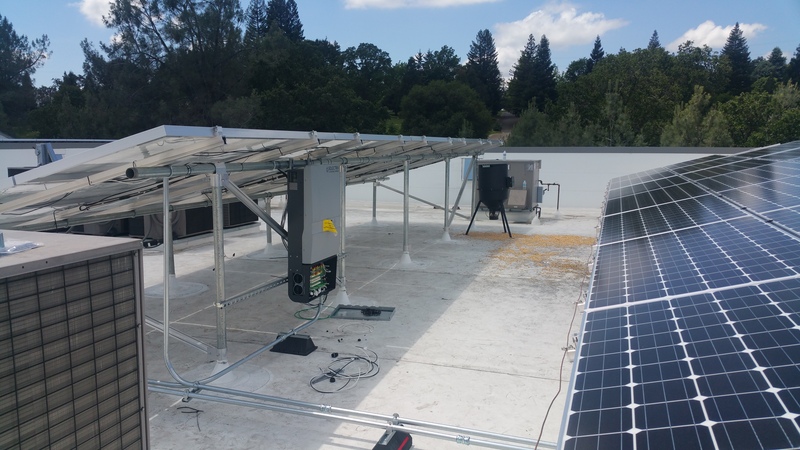 This project qualified the landlords for a SB 504 loan by reducing energy usage on the building. 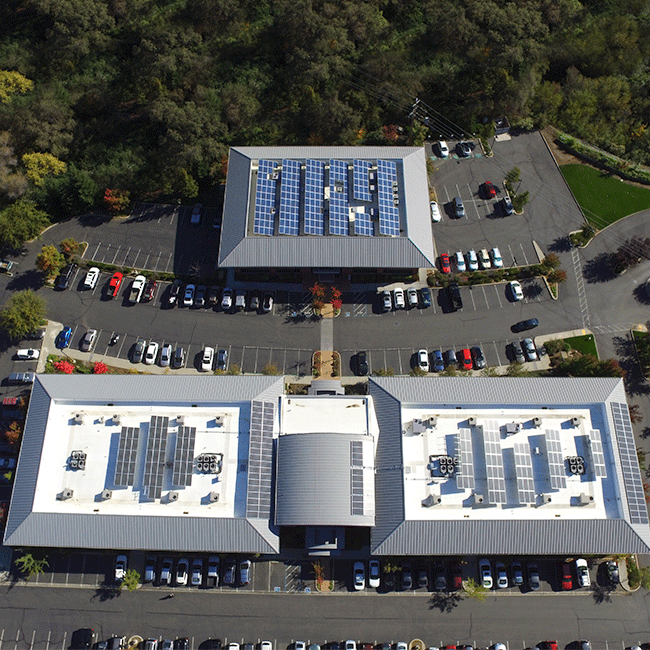 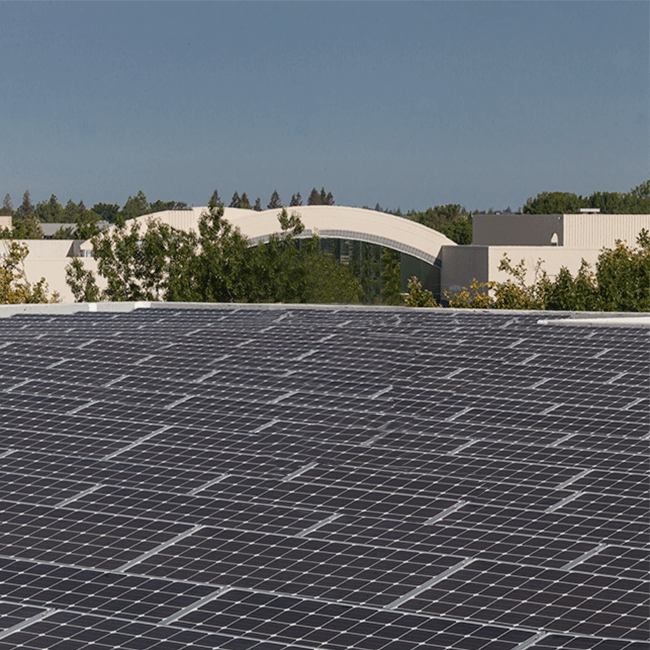 It also will qualify the building for government tenants that require solar on their leased buildings. 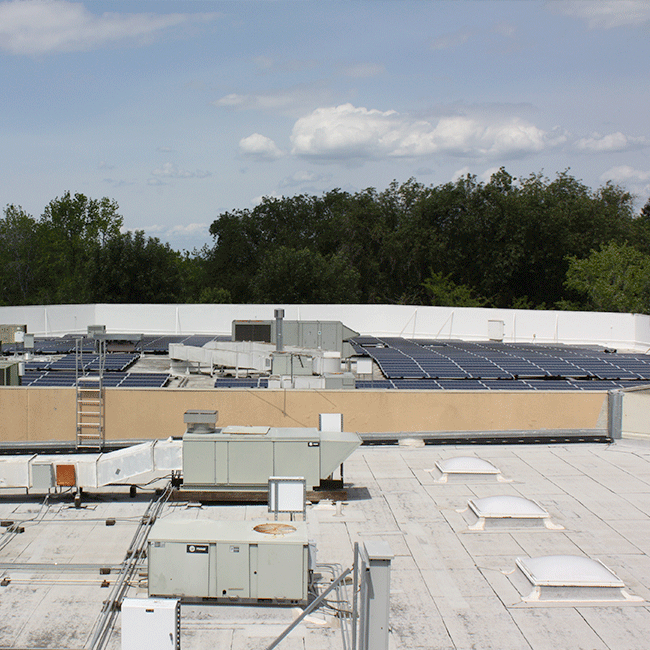 The large state tenant in this building demanded solar before they would renew their lease, so the landlords complied. 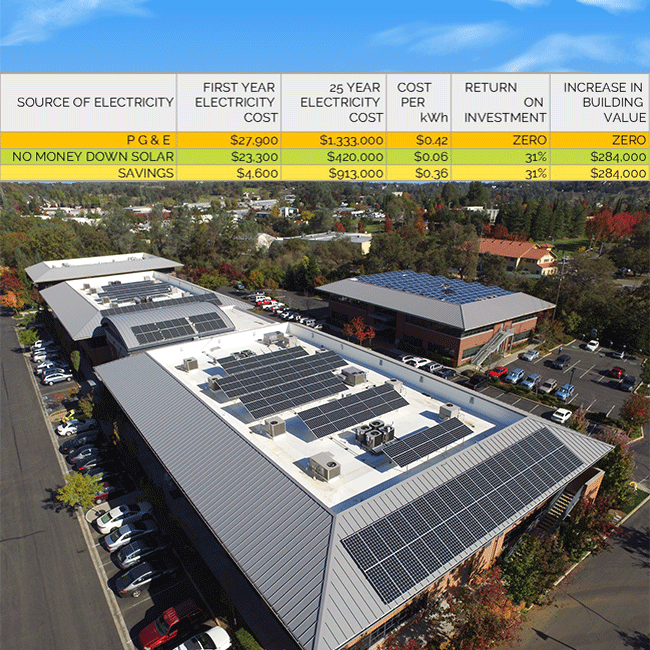 Since the lease was full service, they can pocket their savings and enjoy the increased sales price for the building when the time comes. 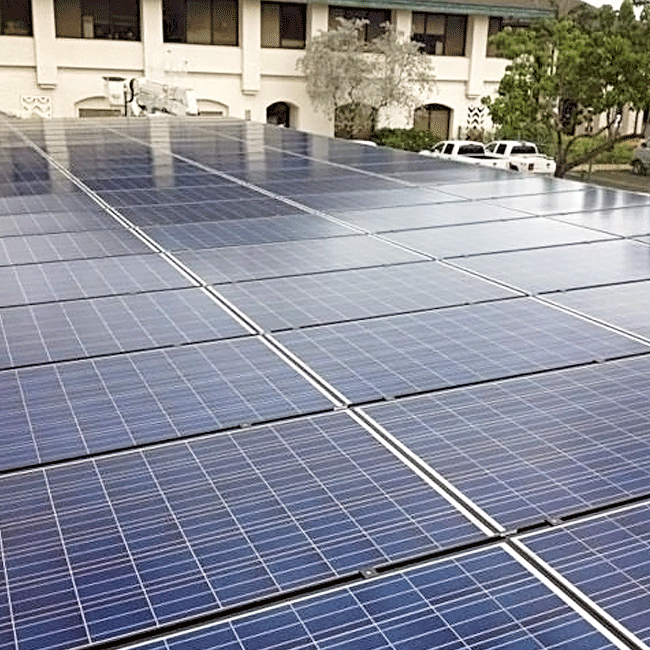 An RV Park full of large motor homes uses a lot of power in the summer. 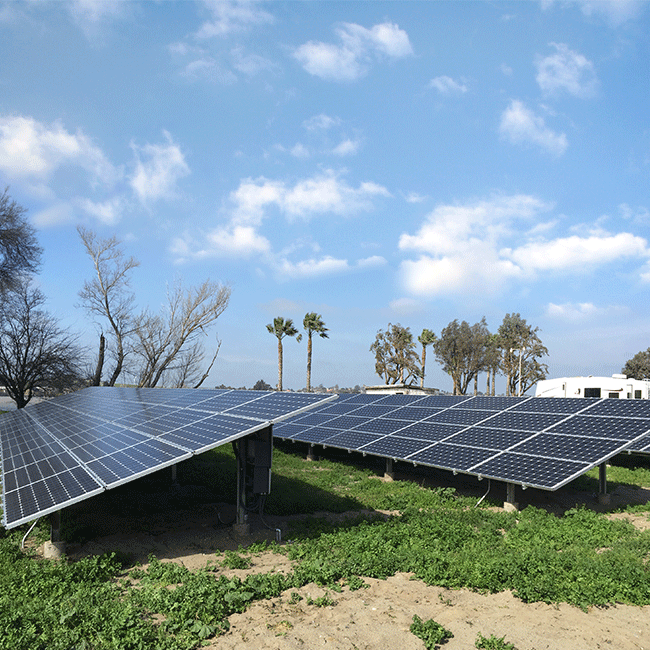 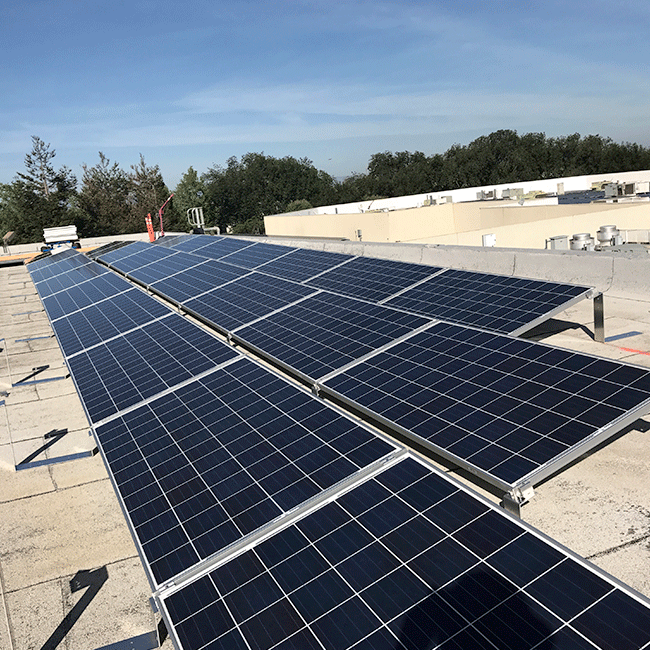 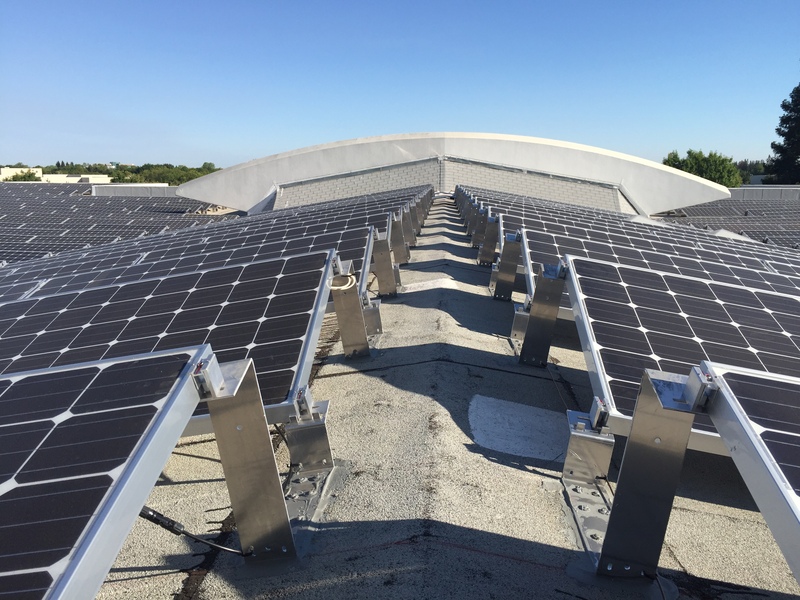 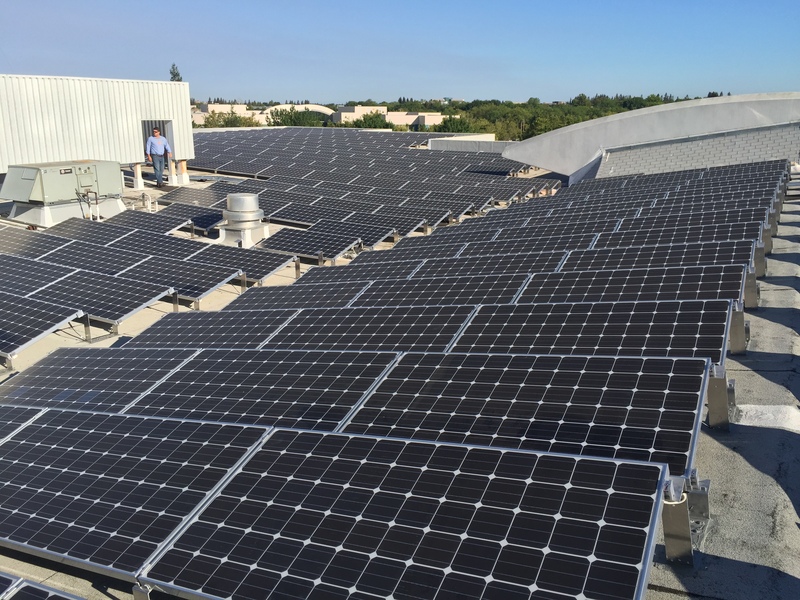 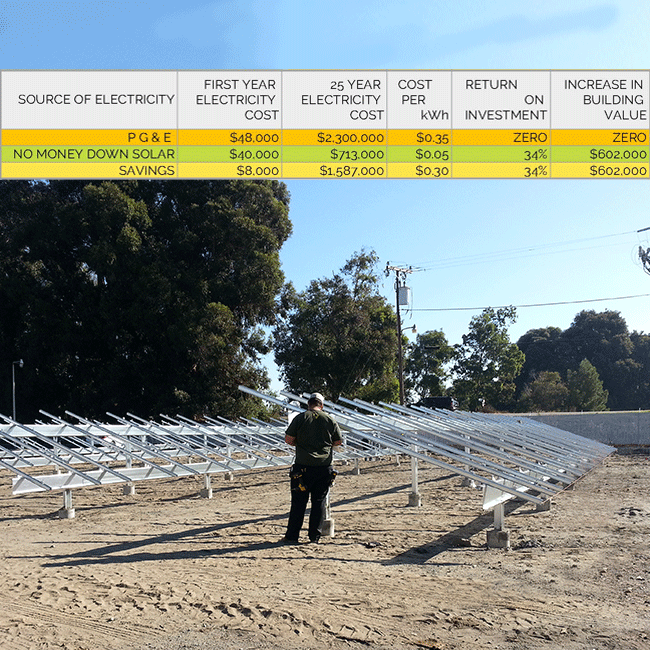 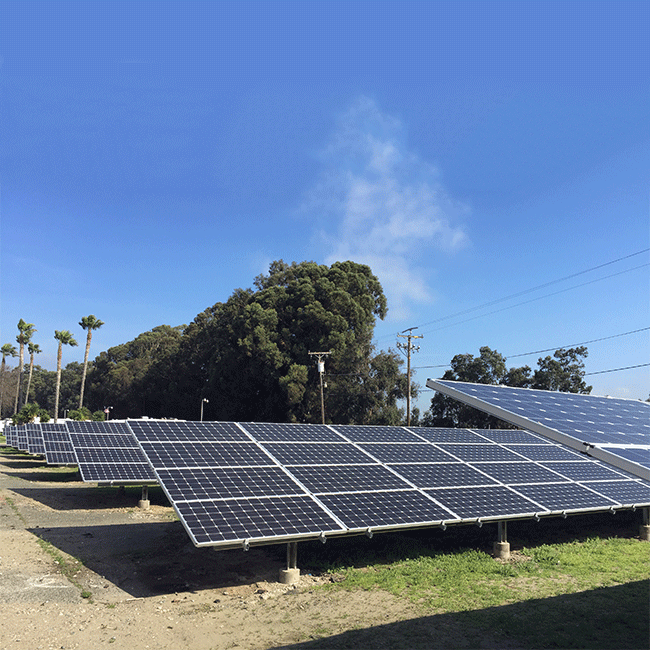 By installing this commerical solar system, they will not have to charge an electricity surcharge as the rates continue to climb. 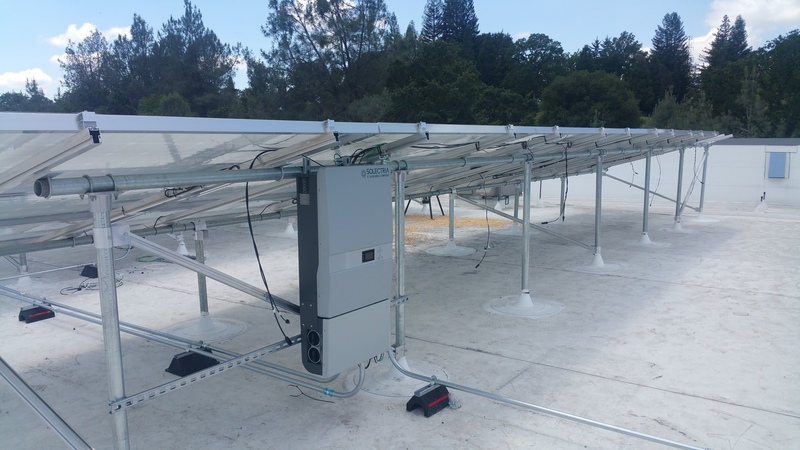 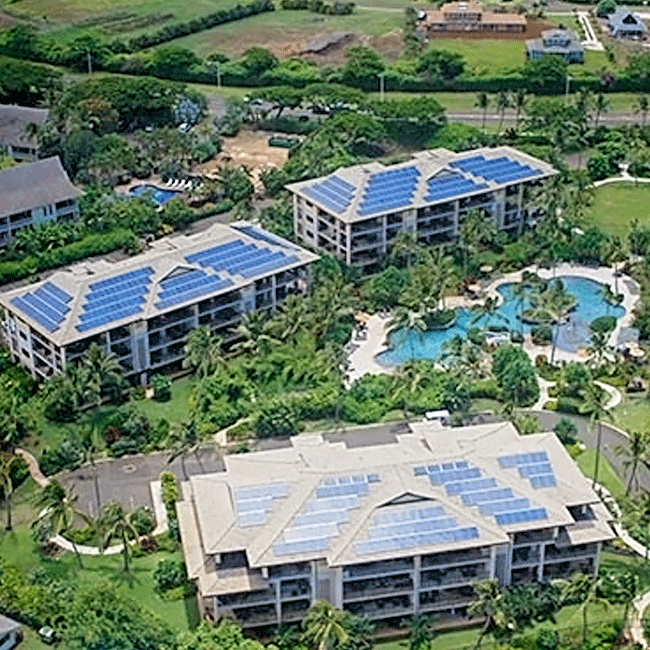 By installing a solar system on the building that leases space to the local electrical utility on the Hawaiian Island of Kaua’i. 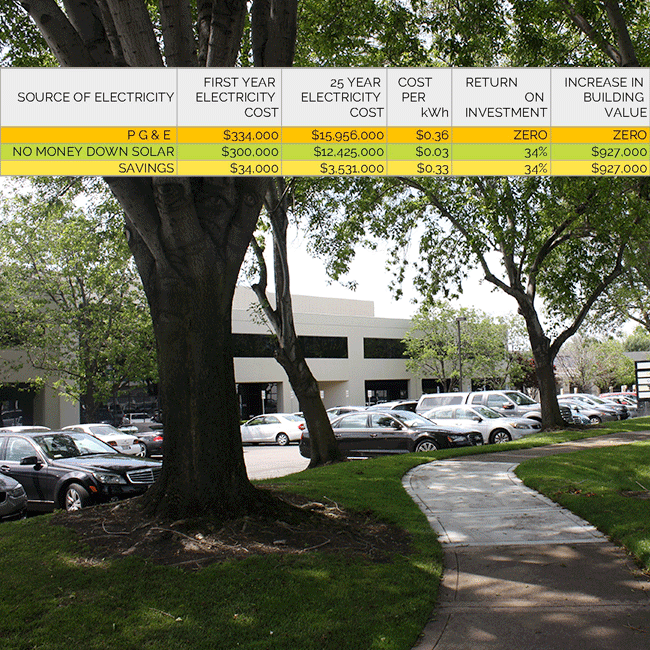 the landlord helped the utility spread a good image while increasing their income and the value of the building. 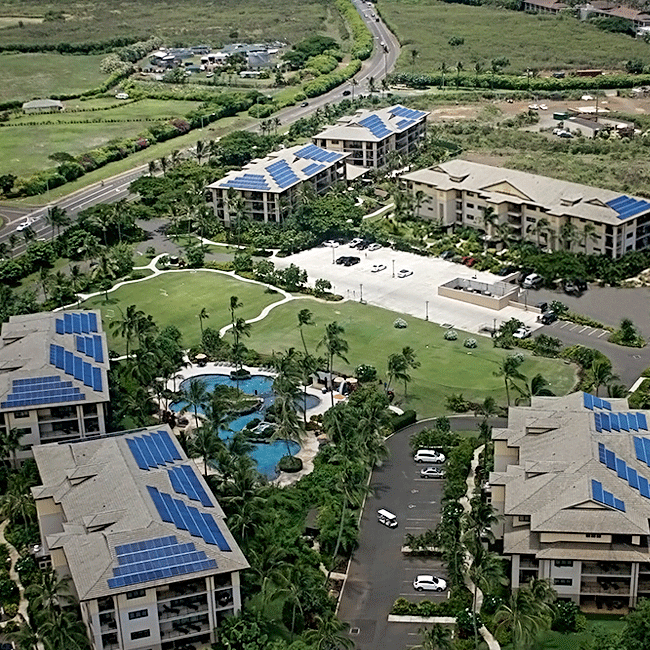 In Hawaii, solar made great sense to the condominium projects and we built several systems there. 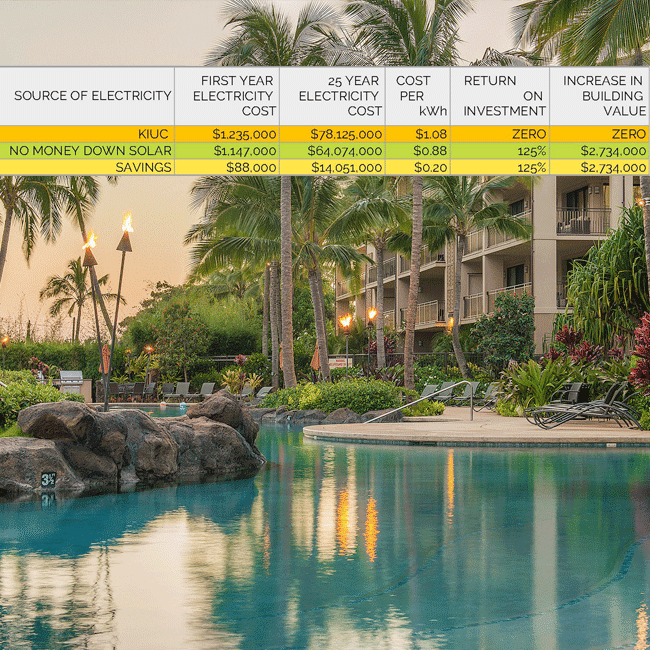 Since there are no time of use rates, when you don’t cover the entire usage, it doesn’t mean it isn’t still a great investment. 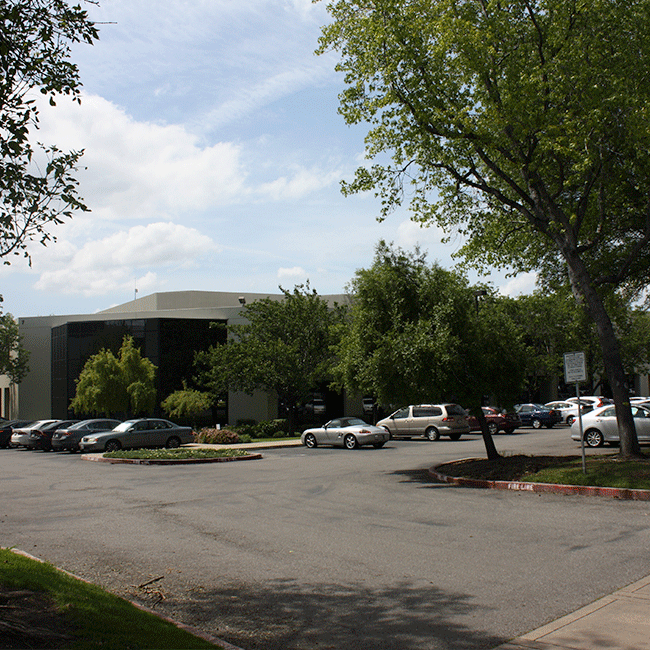 This well known Sacramento commercial landlord wanted to fill his buildings. 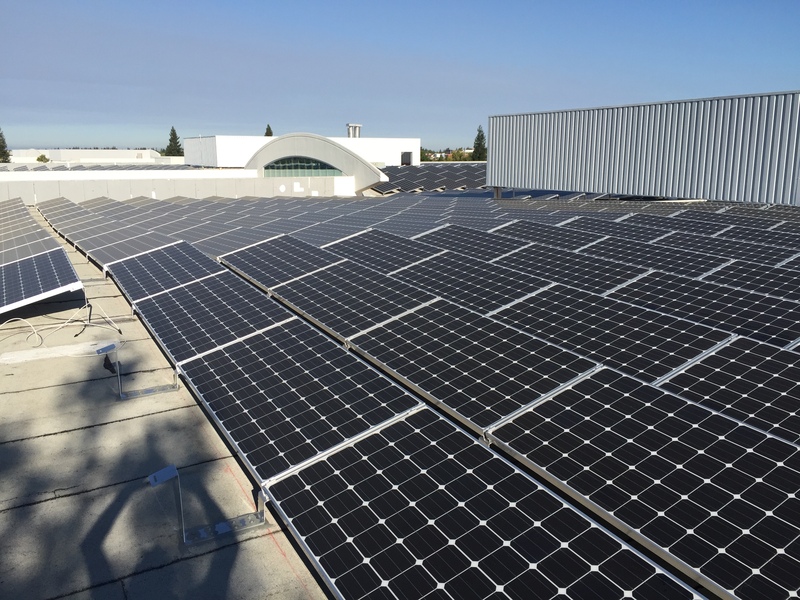 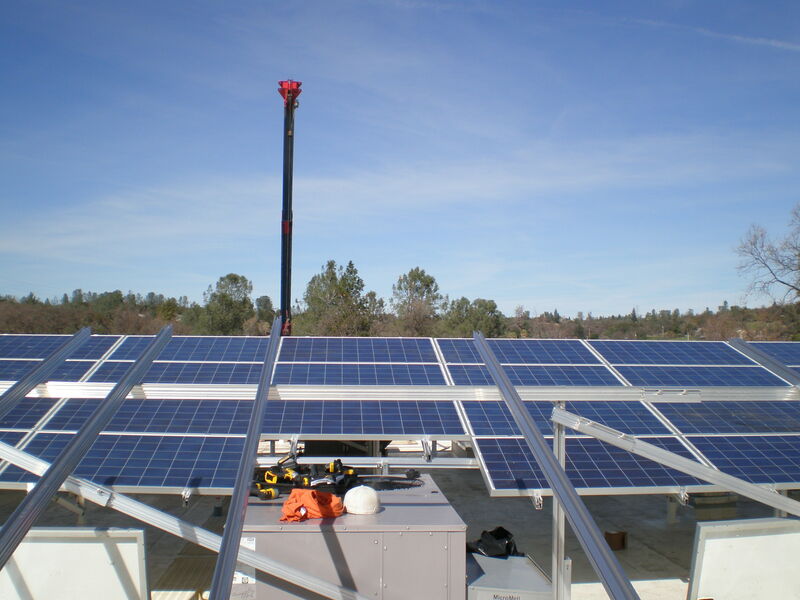 By adding a solar system, he was able to offer SMUD rates to his tenants, instead of the high PG&E rates. 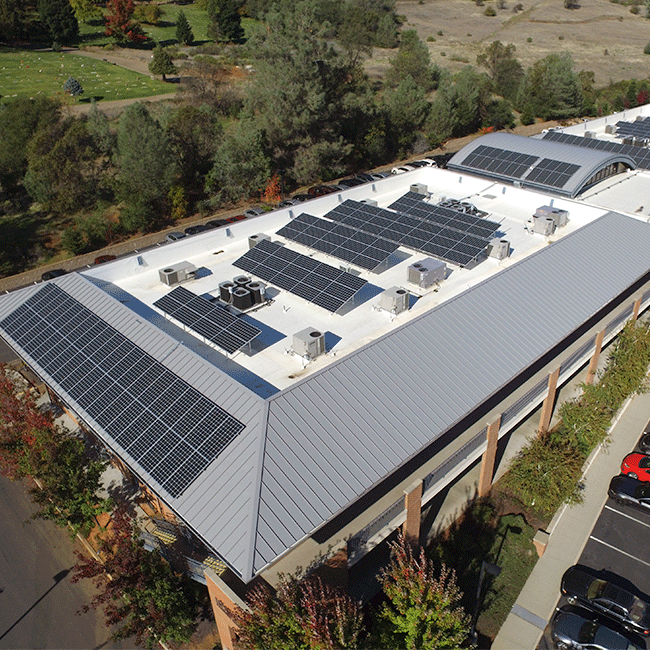 He was also able to attract state tenants due to their preferences for buildings with solar.